Sometimes it nice to keep the coloring quite simple! The Stampin’ Blends are just the right tool for easy coloring. Not all coloring has to be over the top to be beautiful!!! That’s a good thing! Most of us don’t have time for a lot of over the top “detail” coloring!! Life is busy, Right??? Set back stamping is easy to create! To learn more about the process click here. I love wood mount stamps. And this card was created using the wood mounted version of Petal Palette. The process was 1. I stamped the image where I wanted it on Whisper White. 2. Lay the Mint Macaroon layer over the stamped image. 3. Later my die cut in place over the two layers, using micropore tape to hold it in place. 4. The final step was to die cut the Mint Macaroon layer. The black and Petal Pink were added to the card after everything else was in place! I just want to take a moment and say Thank You to all the creative souls out their that have shared there talents with me! Each one of you have blessed my life more than you will ever know! I have really enjoyed sharing the Stampin’ Blends with you guys this month! I’m still trying to decide exactly what will be the next Product Feature in The Creative Way Series! Go live creatively my friends!! The other and I are catering a group tonight at “the real job”. So, I’m going to make myself squeeze a few paper crafting moments into my day!! I have not participated in an online challenge in a very long time! So, when I saw this weeks Global Design Project color challenge I knew it was time to participate! The colors for the challenge are Pool Party, Lemon Lime Twist, and Mellon Mambo. This fun summer color combination will make you wish for bright flowers, limeade, and a pool!! Does this fun color combination not scream Summer!! I know you are nodding yes!!! Yes it does!! Be sure to check out the fabulous creations by the Design Team!!! They sure are full of talent!!! I was super excited to see a new frame stamp set in the upcoming Annual Catalog! Swirly Frames Stamp Set (146519) has circles, rectangles, and a square. I love the whimsical feel! Tuesday I shared a super sweet card that featured the Varied Vases Stamp Set! If you happen to miss it! Here you go! I have really enjoyed the Petal Passion Designer Series Paper. One of my favorite things is to color the paper with Stampin’ Blends. I used my pool party light and dark. Then because I did not have Lemon Lime Twist in a Stampin’ Blend, I used Chartreuse and Lime Peal in Prismacolor. I love decorating envelopes! For this one I added the sweet flower in stair step fashion on one side! Petal Passion Designer Series Paper is retiring! It is going to be hard not to reach for this paper all the time! Make sure you get it before it is gone! It is perfect if you like to color, like bold graphic feel, or just love black and white patterns!! Summer is quickly approaching! I hope this fun color combination puts you in the mood for all the upcoming summer paper crafting projects ahead!!! Be sure you stop by Global Design Project to see the designs team projects and all those who are playing along. Thanks for stopping by! 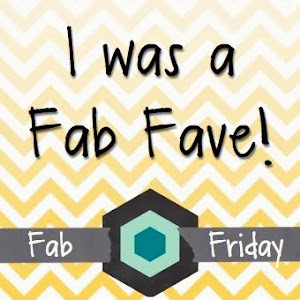 I will be back Friday with an all new instalment of The Creative Way – A Product Feature! I hope each of you have a moment today to be creative.